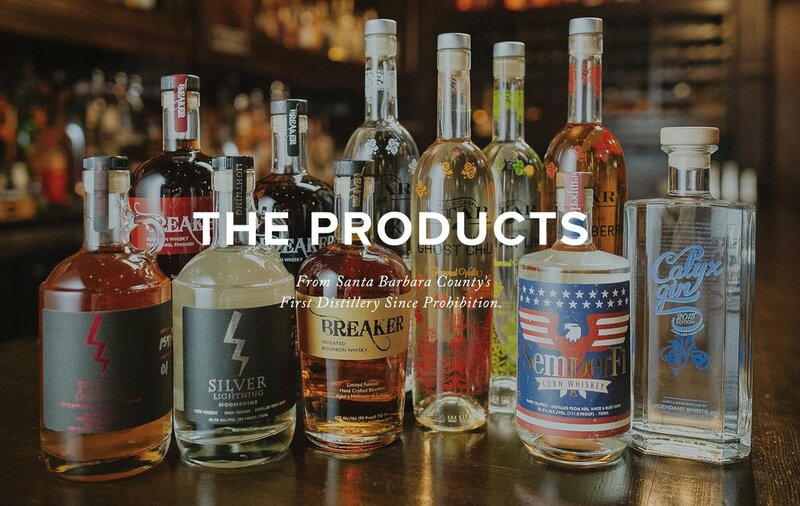 Ascendant Spirits is the first legal distillery in Santa Barbara County since Prohibition. We hand craft a variety of award winning whiskeys, vodkas, and gin all of which are available for sampling in our tasting room. We also have complimentary tours of our facility. 1 - 7 pm Sat. & Sun. A lineup of ascendant spirits.